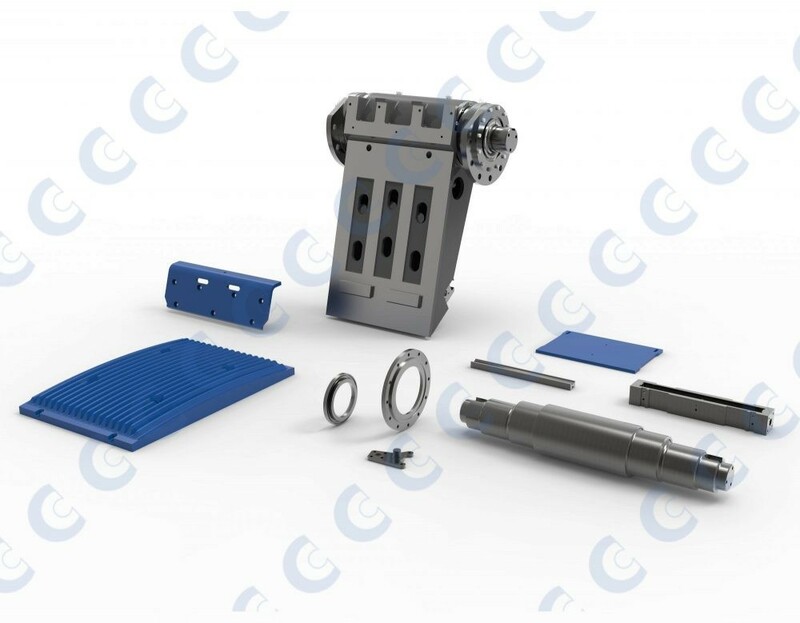 CMS Cepcor® are the aftermarket experts for replacement crusher spare parts and wear parts to suit Sandvik® ‘QJ’ Extec and Fintec manufactured jaw crushers. CMS Cepcor® stocks corrugated, tall tooth, quarry (material M21 only) and the very successful CMS Cepcor® heavy duty corrugated profiles (that came years before the Sandvik Opti-Tooth jaw profile) in M14, M18 and M21 materials to suit Sandvik® and Extec jaw crushers. CMS Cepcor® supplies replacement jawstocks, eccentric shafts, bearings housings, bearings, hydraulic cylinders and many precision machined components from stock. CMS Cepcor® stocks a wide range of parts for the ‘classic’ built Extec machines that are no longer manufactured, including the Mega-Bite and Pit-Bull Mk1 and Mk2 single toggle jaw crushers. All CMS Cepcor® compatible parts to suit Sandvik® ‘QJ’ range crushers are manufactured and warranted by CMS Cepcor®.